Sian Dunne MCIOB and Dianne Marsh of Liverpool John Moores University on replicating the collaborative BIM mindset in the teaching curriculum. Many of the problems within the construction industry can be traced back to the functional organisation, whereby construction professionals work within a “silo” environment and a lack of concurrent practices and collaboration hinders progress. Over the last 20 years the industry has been subject to numerous government reports, all concluding that the industry still has some way to go in providing a more standardised, leaner industry and in resolving the issues of fragmentation and waste. 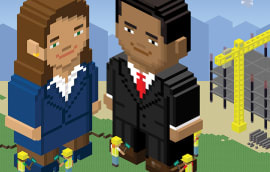 To address many of these issues, the Government Construction Strategy (2011) introduced BIM as a tool to help improve performance, reduce waste and improve collaboration. This new way of working has led academics at LJMU to develop new ways of delivering current curriculum content which breaks down the silos and provides students with a platform for collaboration. Additionally, there are also obvious pedagogical advantages to working in teams, collaborating to the benefit of meeting combined aims and objectives for all. Using group work in higher education can promote deep and active learning, enhance problem-based learning and additionally enhance a student’s skills for later employability. While the teaching of BIM has been established within education for some time, LJMU academics have identified through discussions with other institutions that this is not always delivered collaboratively. The incorporation of BIM into AEC programmes has posed many questions, such as, what can be left out to make room for BIM? 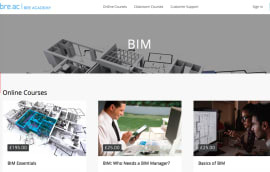 Which modules should be used to cover BIM? 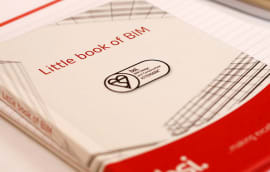 Should there be specific modules for BIM? What is the appropriate level and amount of content to be included within programmes, for example do we want Construction Management students to be able to model or to be able to use a model? What new technology should be incorporated and how willing are the staff and students to engage with this? However, the overreaching principle at LJMU is that of collaboration. From that point a number of learning outcomes were established, to be met via the BIM Project. Through formulating a school-wide BIM task group early in 2012, LJMU academics have developed a cross-school, cross-discipline, real world project to promote the collaboration and integration of students and staff across various Built Environment degree programmes. Students and staff from various programmes, including civil engineering, construction management, building services engineering, quantity surveying, architectural technology, building surveying and real estate management come together in multidisciplinary groups to achieve common project aims and objectives. The project ran for the first time in 2013 and involved the development of a 5D housing model by staff, which students then interrogated and made changes to, during a cross-school project week. This allowed students to meet those from other programmes and familiarise themselves with other roles within industry, gaining an appreciation of differences in information requirements to facilitate decision making throughout the project life cycle. In addition, students had the opportunity to use industry-standard software during the project including Autodesk Revit, Navisworks, Strusoft, IES and Asta Powerproject, gaining vital skills for future employability. 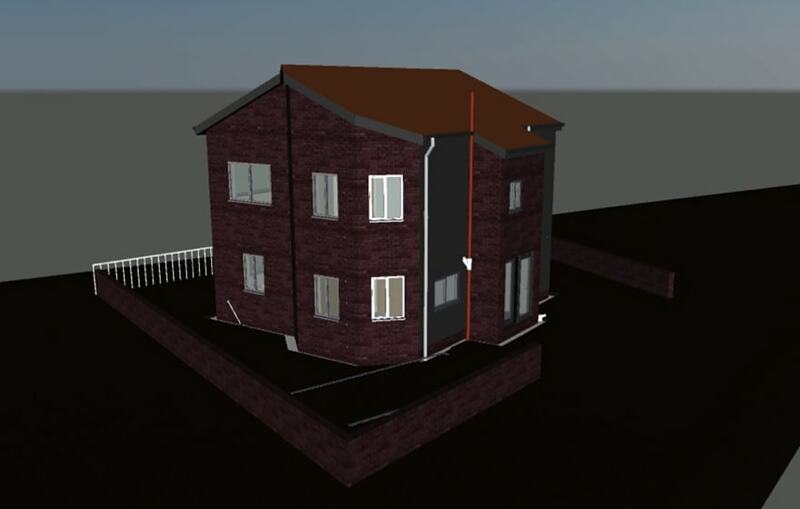 In 2015 the project has developed further, with level 4 students using the previously developed 5D house model and level 5 students using a more complex college building. Moreover, LJMU has received tremendous support from its industry partners during this year’s project, with guest speakers from each sector coming into the university to talk to students about their experience of working within a BIM environment. This included representatives from BDP, Curtins Consulting, BCM, Galliford, Kier, BAM, Graham Construction, Carillion, Mott McDonald and StruSoft. There are several challenges which LJMU staff have faced in the development of the project, from the administration and timetabling to allow all students across each programme to attend; hardware and software issues; staffing and, most importantly, student engagement. Academics needed to encourage engagement from the students: with attendance not being compulsory it was important to meet face to face with each of the cohorts prior to the workshop and incite in them the idea of working with other programmes and learning new skills, which they could take forward into employment. Deciding which software to adopt within the school for the teaching of BIM was also a challenge. Staff researched industry trends, visited conferences across the sector and took time to meet various industry stakeholders to ensure an informed decision was made. The decision to use the Autodesk suite was made in 2013 and this has evolved to also include IES, Asta Powerproject, CostX and StruSoft. Development of the LJMU BIM task group, uniting the skill sets of staff members across the school, was fundamental in embedding BIM into the curriculum. This was the first step in breaking down barriers and allowing staff the prospect to work collaboratively on a project. The task group is the primary mechanism for driving through changes to the ‘silo’ based teaching approach and bringing expertise together, leaving subject discipline behind. Additionally it has improved staff motivation as a result of increased “camaraderie” and achievement in running a successful project. 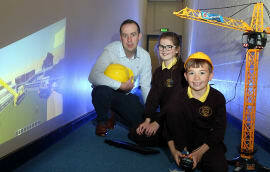 Student awareness of the BIM process went from zero to very knowledgeable in a short space of time. While the workshop was intensive, students quickly understood that they could only achieve their aims and objectives by working together to get the task completed. Students were enthused by the alternative teaching methods, founded on a problem-based learning approach with the belief that retention of information will be improved. 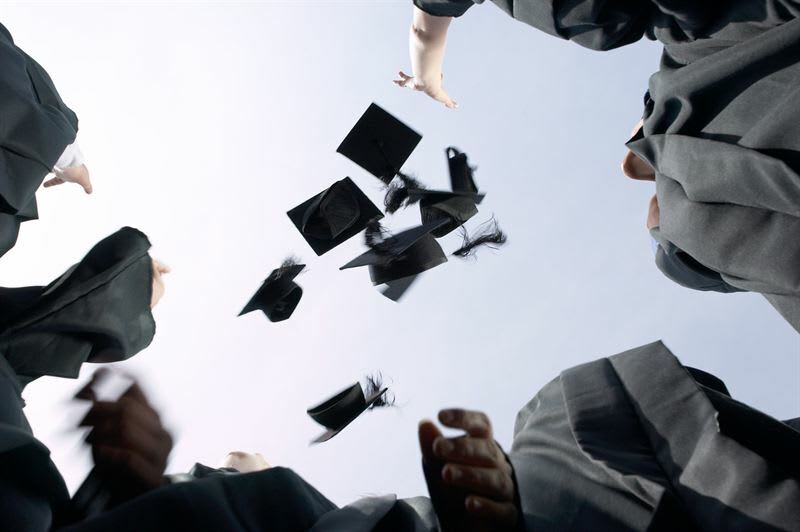 Many students commented on this as a preferred method of teaching, as an alternative to traditional lectures, and they realised the benefits in terms of acquiring team working skills and knowledge of BIM for future employability. We are indeed excited to be a part of this "new construction age" - BIM at the forefront - and also this new method of learning at LJMU which literally mimics industry practice - collaboration on real-life, existing projects.